In the camera department, there is a standard 8MP selfie camera on the front. On the rear, we have a dual-camera system, with a primary 16MP lens, and a secondary 2MP sensor. On the battery front, Oukitel has included a 3,500mAh battery, with fast-charge technology. What makes this even more awesome is the support for 10W fast wireless charging. 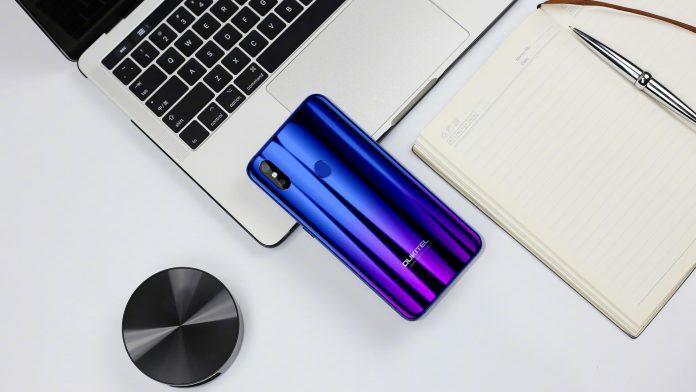 What can the Oukitel U23 do? To help build up the anticipation for the U23, Oukitel has been releasing a few different videos. The first two showed off the device, including its awesome gradient design. The latest video now shows off what the handset is capable of, including some gameplay and AnTuTu benchmarks. In the video, you can see that the U23 reaches a score of 84,627 in AnTuTu, which isn’t the greatest, but is still pretty sweet considering the price tag. In the gaming portion of the video, you can see NBA 2K, Glory of the King, and PUBG all being shown off. The U23 seems to handle just about everything that can be thrown at it, other than some slow loading times. How can you get the U23? 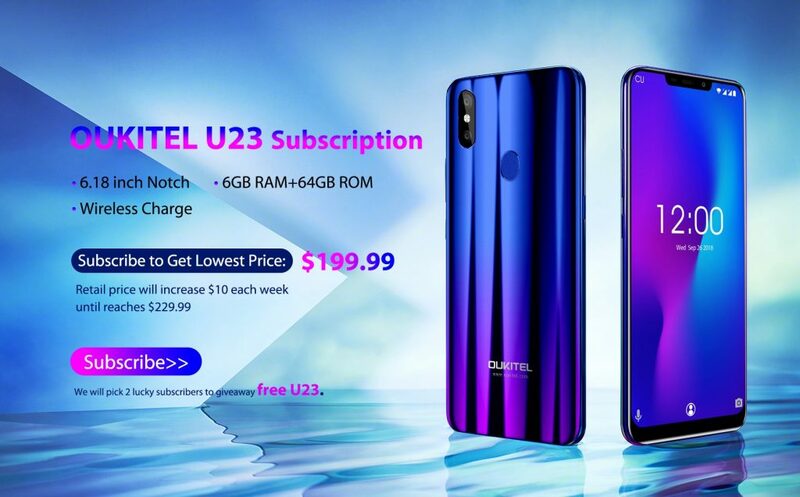 If you are intrigued by what the Oukitel U23 has to offer and want to pick one up for yourself, the time is getting closer. The pre-order period has already started and lasts until November 19th. Between now and November 30th, you can purchase your own U23 for just $199.99. After the 30th, the price will increase by $10 per week, until the retail price of $229.99 is met. However, Oukitel is also running a pretty sweet promotion. If you head over to the landing page for the U23, and sign up to learn more about the device, you will be entered to win a U23 of your own. It’s important to note that Oukitel will be picking two subscribers from the lot. Let us know what you think about the Oukitel U23 and if you’re going to pick one up for yourself.